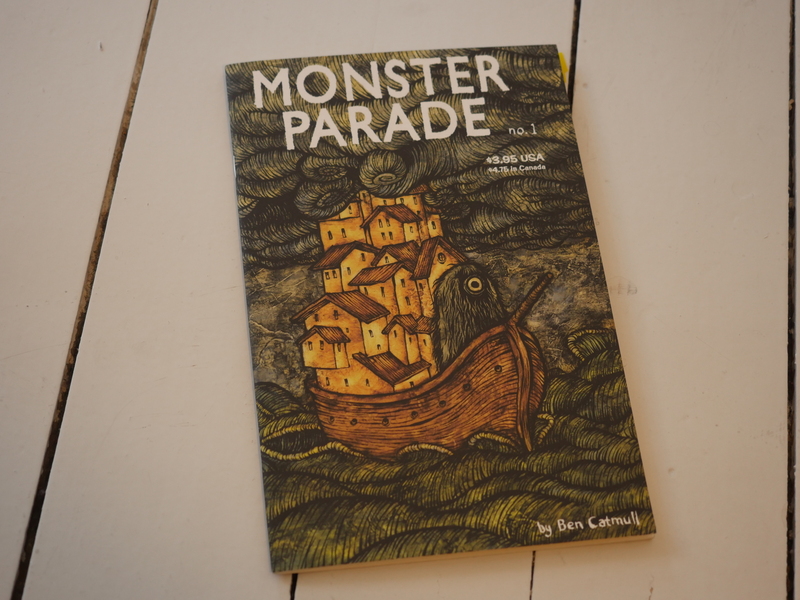 Monster Parade #1 by Ben Catmull. Apparently meant to be a series, only one issue was published. 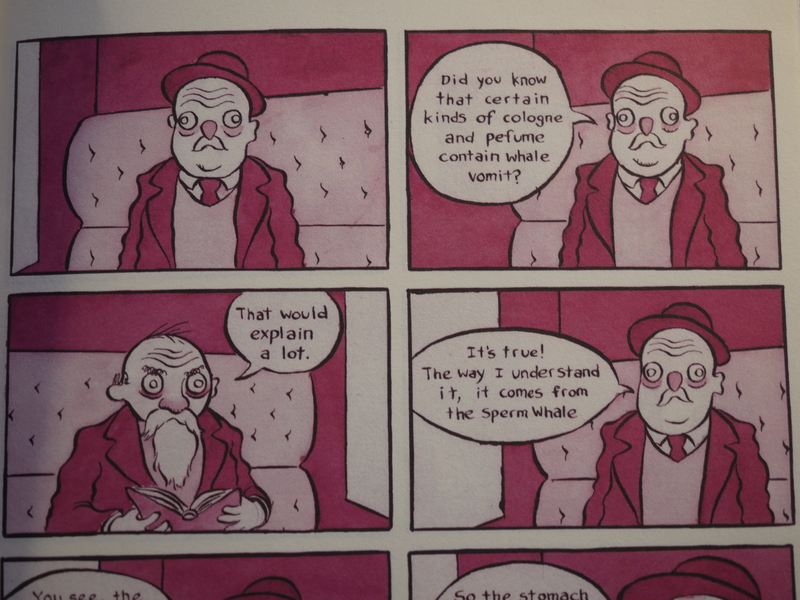 And here we learn how certain kinds of perfume are made, and it does explain a lot. 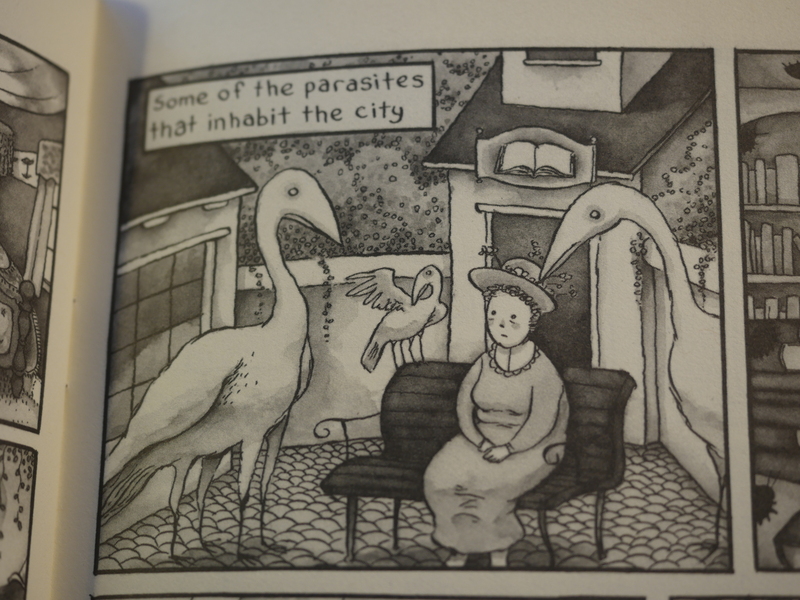 The stories are rather oblique. They set a mood, and then not all that much happens, but it’s a great place to spend a while. Reminds me slightly of some of Rick Geary’s more abstract stories? 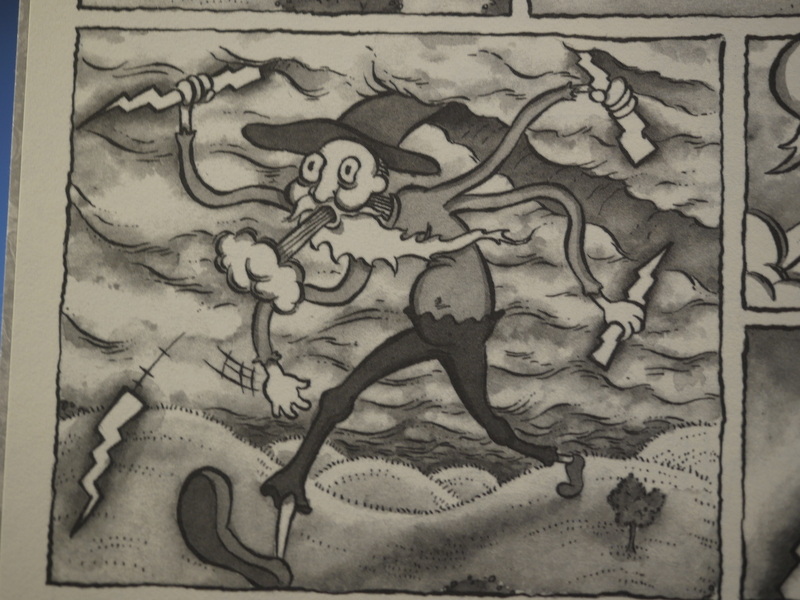 Catmull doesn’t seem to have published many other comics, but there’s an illustrated book of haunted houses, which seems like a perfect fit.